Preparing for a Paralympic Games every 2 years is no easy task. Quite simply there isn’t really anything in common between Alpine Skiing and Long Jump and Javelin. There are 3 athletes in the world that competed at the Vancouver 2010 Winter Paralympics and will be competing very shortly at the London 2012 Summer Paralympics and I am one of them. The other 2 athletes are both American and I have the pleasure of racing with them on the alpine ski racing circuit, on the summer side and one competes in cycling the other wheelchair basketball. I’m very proud to be a dual sport international but the bottom line is I’m going to London because I want Paralympic medals. 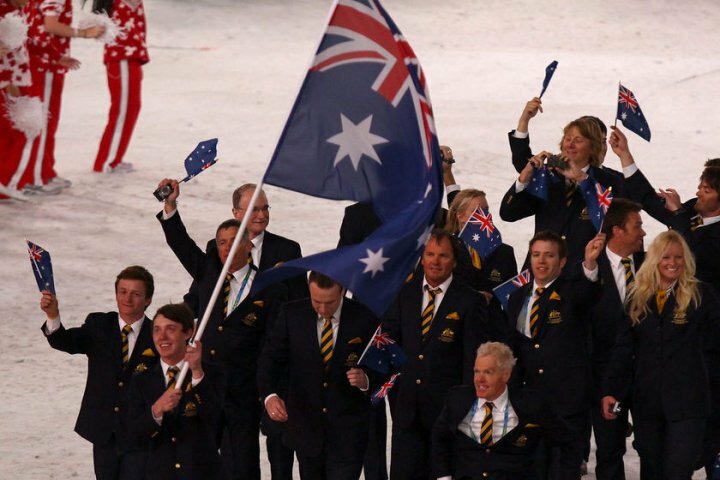 No-one in Australia has ever medalled at a summer and winter games and that’s my goal. The process of transitioning from one sport to another is not simple. I could talk all day about the high detail, planning and scheduling that my team and I implement to allow my body to transform from a summer athlete into a winter one and vice versa. The process of transformation constantly evolves as we learn more about how I adapt, respond and progress in particular areas of my training. Naturally we also learn a lot from any mistakes that are made and we have certainly had those along the way. The biggest concern when transitioning is injury. In alpine skiing I fly down a mountain at high speeds in race courses lasting 1-1.5 minutes involving the need for high levels of speed endurance and in particular quad dominated movement patterns. In Long Jump and Javelin I use explosive power over a 4-6 second duration involving both upper and lower body strength in whole body movement patterns. Add in the fact I have half as much time as my competitors given I have a Paralympic Games or World Championships every year and you can see how planning is a crucial element to my ability to get back into one sport and reach peak potential in the short time frame available. So I guess this begs the question with London almost here are preparations taking shape for the next winter Paralympics in Sochi, Russia March 2014? Of course they are. My preparations for my return to ski racing have been in the pipeline for a long time now but not by me. One of the great things about having so many incredible people supporting me is that all I have to worry about is one thing, training and training hard and right now that is all on London. Certainly my ski racing plans are put to me for my input but behind the scenes my coaches are putting together what I need to ensure I reach Sochi in medal contention. I LOVE that I get to attend and experience the summer AND winter Paralympic Games. Both offer the incredible atmosphere and comradeship that is the Paralympic movement and spirit. Yet with every games and its location offers incredible points of difference. A Summer Paralympic Games has thousands of athletes and team personnel whereas at the Winter Paralympic Games given there aren’t as many sports as in summer the village is a lot smaller and has the atmosphere of just one big extended family. The Australian team is no different in London there will be over 400 in Team Australia. At the Vancouver Winter Paralympic’s in 2010 Team Australia consisted of only 40, and there were only around 15 of us that were athletes, and only 2 of those (including me) were female! As a side note one of the things that I miss a lot when ski racing is just having a girly chat! Travelling with the boys is fun but after months on the road the stories become way too repetitive for my liking! With London almost here the anticipation of experiencing a new athlete’s village, the dining hall, the games rooms, the Opening and Closing Ceremonies and of course the Olympic stadium where I will compete in front of 80,000+ people including family and friends means it’s a pretty exciting thought and without a doubt makes all the hard work and sacrifice of being able to transform my body from an Alpine Skier into a Track and Field athlete worth while. When you hit the 40 days to go mark it becomes an interesting time in one’s preparation for a Paralympic Games. Training loads are still heavy yet the shift does begin to move into the pre-competition phase. When you hit this point it starts to become exciting. I haven’t actually competed since the Victorian titles in March which means I’ve had 4 months of solid work in the gym and on the track for improvements and to finally get out on the run way for a competition is great as I get to see how I have progressed. 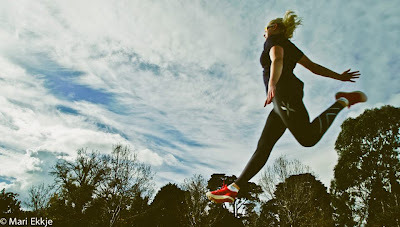 At the moment I have started competing in some low key competitions as well as simulated competitions in the training environment whilst still completing around 12 training sessions a week comprising of things like long jump technique, sprint work and other running sessions, javelin technique and strength and conditioning. Plenty of ice baths, osteopathy, physiotherapy, soft tissue work, dietician and sports psychology sessions thrown in and it’s easy to see how the days fly by. With the increasing media coverage I have also had the pleasure of bringing my Vancouver Winter Paralympic medal out, reminiscing all sorts of incredible memories and stories from the 2010 Winter Paralympics. The knowledge that on September 2 and 7 that opportunity once again presents itself for me to step onto the world stage to try and replicate those Vancouver results and experiences is spine chilling and it’s thoughts like these that get me pumped for London. With every day that passes the excitement that is the Paralympic Games grows so stay tuned for things are stating to heat up!